Though Disney World is intended to be enjoyed by the whole family, some attractions have height minimums to keep kids safe. 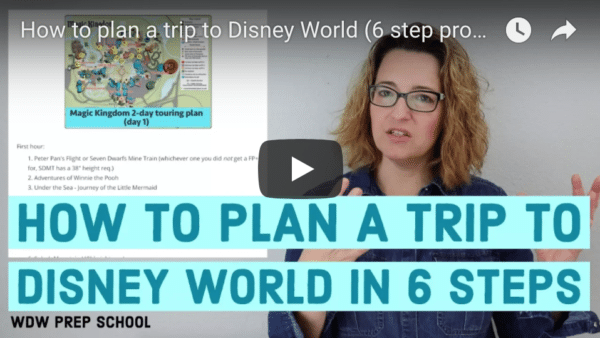 Here's an overview of the attractions with Disney World height requirements and how taller people in your group can still enjoy the attractions even if you have too-short-to-ride members in your party. Are Disney World height requirements enforced? In short (so to speak), yes. Cast Members will measure guests who appear to be close to the requirement for that attraction and will not allow kids who fall under that height to board. This is for safety reasons. Children will be measured at every single ride where they appear to be close to the height requirement. No hand stamps are given after being measured to allow entry on every ride. They'll be measured every time. The measurement is done with shoes on, unless high heel shoes are being worn (in which case, Cast Members may ask that shoes be removed). If you do have somebody in your group who doesn't meet the Disney World height requirements, you can still ride using the Rider Switch pass. This allows your group to split into 2 as the first part of the group rides, then you can swap and let the other part of the group ride. Rider Switch allows an adult to always be waiting with the child as the other part of the group rides. Check out info on how Rider Switch works, including tips on making sure the waiting child is being kept busy while everybody else rides. So which attractions have height requirements? 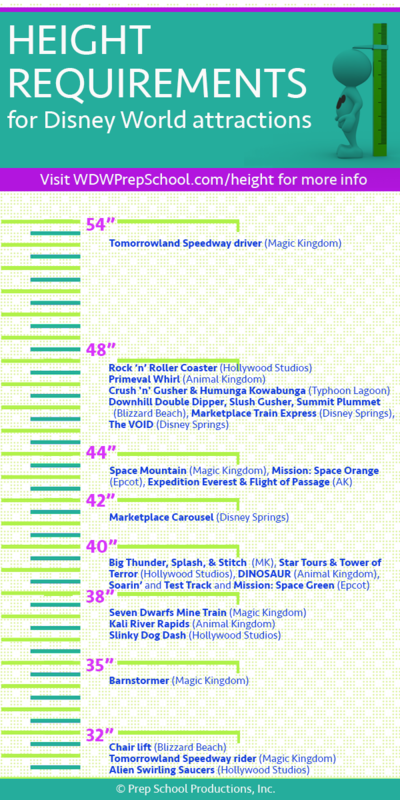 Check out this list of Disney World height requirements so you can plan ahead. You might want to check out touring plans for all 4 parks which include an option to tour with little ones who aren't tall enough to ride some of the bigger rides. 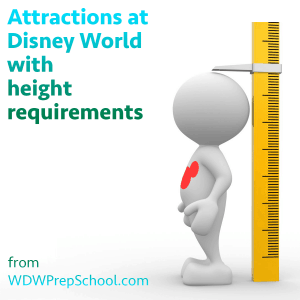 Any other thoughts or questions about Disney World height requirements? Feel free to leave those in the comments. What about someone who is incredibly tall? Would someone who is 6 ft 9 be able to ride the different rides or is there a height maximum as well? Unfortunately cast members are still applying this inconsistently. Some say you cannot only FP for group 1. Some say it’s ok. The official Disney Web Site doesn’t say you can’t. And as you say, it doesn’t make sense to FP everyone otherwise rider swap is useless. I used to FP group 1 and put the baby and group 2 on a ride that’s fun for baby. But now I’m afraid to plan that way. The cast member who said we need to FP everyone was nice enough to let us go, but explained he is trained and the Disney site rules are not how they are trained. It would be nice for Disney to address this. We are going to WDW in November (13th-18th) and our son will be just under 3 years old (DOB: 12/01/15). He’s tall for his age and is already 38″. I’m thinking he will be at least 40″ tall by the time we go. So my question is this, do you feel that those rides he will be tall enough for (i.e. 7 Dwarfs and Slinky Dog Dash) might still be too much for him? My 3 year old is also very tall for her age (she was 40″ when we went to Disney a few weeks ago) and she went on the barnstormer, mine train, kali river rapids, splash mountain, and soarin and loved them all. My 5 year old (who is 44″) skipped the barnstormer and splash mountain and probably would have skipped the mine train too if we let her 😉 Our 6 year old’s favorite ride was Space Mountain and I know adults that won’t do that ride. It all depends on the kid, but if he is tall enough and loves rides he should be fine (especially assuming a parent will be on each ride with him). Have fun!! It definitely depends on the child my youngest daughter loved seven dwarves mine train when she was 3.5 years and barely 38 inches my 23 year old daughter still won’t try any coasters. So if they are the kind of kid that loves adventure and climbing and heights and jumping off of everything he might be ok. We definitely started simple with our toddler and let her ride a simple log jammer ride at idlewild (a semi local amusement park) that had a 36 inch height requirement. We rode barnstormer first before sdmt and she was good. She did not want to ride anything multiple times she just wanted to expierence once then on to the next adventure. How tall do you have to be to ride all roller coasters? Definitely. It’s a safety thing. Have to be a certain height to safely ride the ride. Just wanted to add a note about Tomorrowland Speedway – you can drive at 32″ if you’re with someone over 54″. Will May have any fireworks at Hollywood Studios at night? Does anyone know if child meets height requirements but is under age 3? Age doesn’t matter. If they meet the height requirement, they can ride.